McHugh's has been in the doll business since the 1970's. With our many years of experience we are able to evaluate collections, appraise and consult about your dolls. 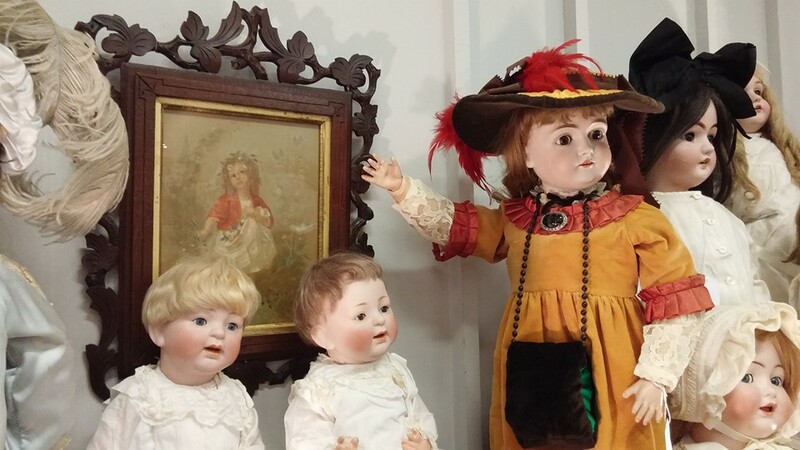 We do a doll show almost every month from Toledo, Ohio to Naples, Florida so we keep current with antique doll prices. eMany of our estate sale meetings start because of questions about how to deal with a family doll collection. We restring dolls from Madame Alexander's to antique dolls. We buy DOLLS...we buy just 1 or a whole collection! Consignment options are also available. Please call us for information. We do not buy Franklin Mint, boxed effanbee dolls from the 70's and 80's, Yolando Bello, and some other commercially produced dolls. We are happy to look at pictures and answer questions if you aren't sure what you have.